This article was originally published on May 7, 2018 in Global Trade Magazine. One would be hard-pressed to find a business in the United Kingdom and the broader European Union that isn’t at least somewhat concerned about what the outcome of the Brexit talksmay yield in terms of disruption to their business operations. But fret and preparation are not synonymous in meaning or outcome. Those enterprises that have been closely following the Brexit negotiations and considering the various outcomes and their potential impact on their business will be in an unquestionably better position to respond to that disruption in a nimbler and more strategic way. And yet, it wouldn’t be terribly surprising to discover many businesses on both sides of the English Channel are taking a wait-and-see approach. In the face of uncertainty and ever-changing circumstances surrounding Brexit, time-crunched business owners and operators quite expectedly revert to the wait-and-see approach. That’s certainly been the case in North America where negotiations around the North American Free Trade Agreement have been ongoing for nine months. A recent study conducted by Livingston International shows that among American and Canadian businesses, only four and six per cent respectively of small and medium-sized businesses and about 20 percent of large businesses have been actively contingency planning for a US withdrawal from NAFTA. 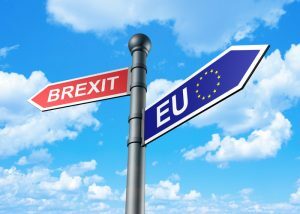 While it may seem Brexit stakeholders may have a more generous timeline than their North American counterparts, the reality is that a solution to Brexit is sure to be stamped out during 2018, leaving those affected with only about months to adapt to the new trade relationship between the UK and EU. By far, the most affected aspect of supply chains will be the customs process which will be entirely overhauled come Brexit day with no guarantee of sufficient increase in human resources at border crossings to cope with the influx of queries, misunderstandings, violations et al. Strategically minded UK traders have already been assessing the impact of this change to their processes and, in many cases, considering Authorised Economic Operator (AEO) status as a means to enable the speedy release of goods. The AEO allows traders to receive preferential status at border crossings to expedite customs processes and to take advantage of reduced levels of monetary guarantees required to secure duty and tax payments with HM Revenue and Customs.